Tegral 66 GRP and Acrylic versions– A range of IP66/Anti-Corrosive high efficiency LED battens complete with LED boards. 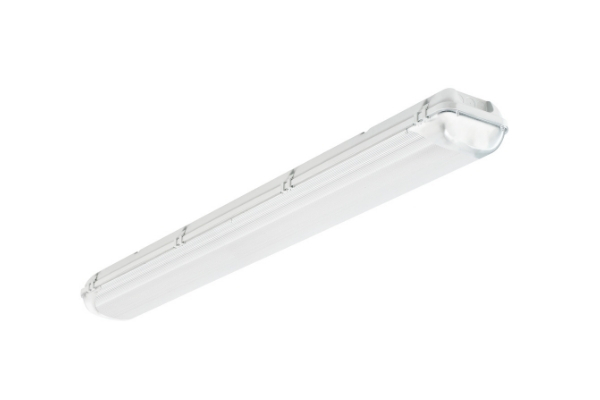 They are suitable for general lighting in retail, commercial applications and suitable for outdoor use. Ideal for carparks, farmyards, storerooms, sheds etc. Assembled and tested in Europe using quality components. Detachable lightbar makes it a very easy product for maintenance, reducing the need to replace the fixture at end of life. Lightbar can be unplugged like a lamp and a new one installed. Emergency and dimmable versions available upon request. GRP body and Acrylic diffuser for better resistance to chemicals.